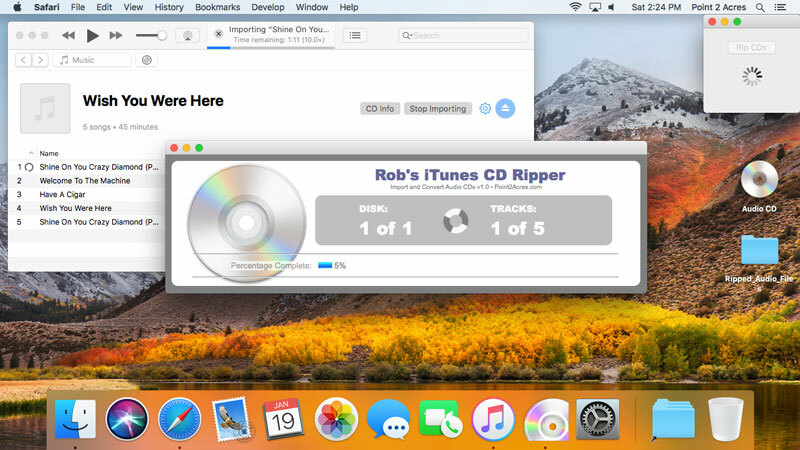 The Following links can help you setup and use Rob’s CD Ripper for iTunes • Import and Convert Audio CDs. 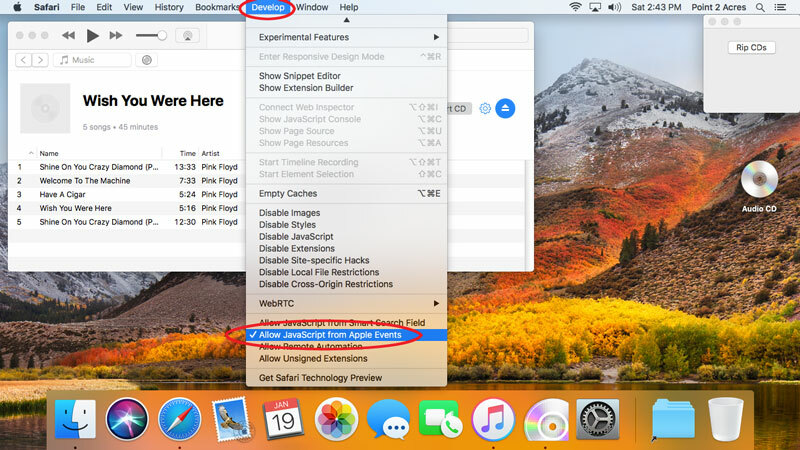 How do I Activate Safari’s Develop Menu? How do I begin ripping tracks? 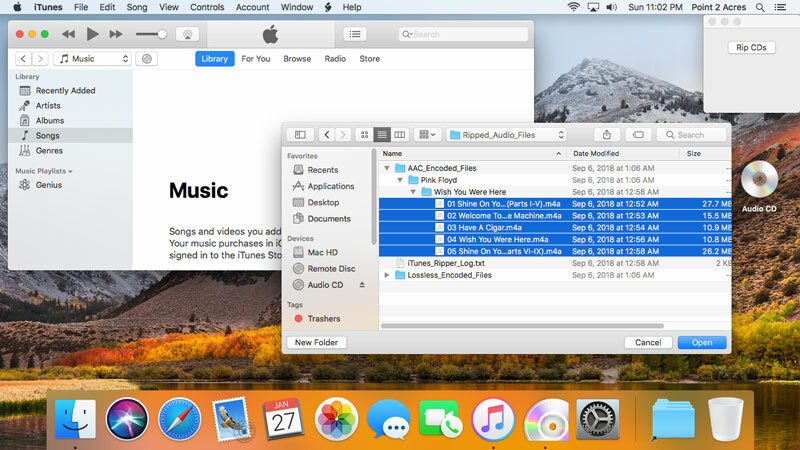 How do I add music to the iTunes Library? 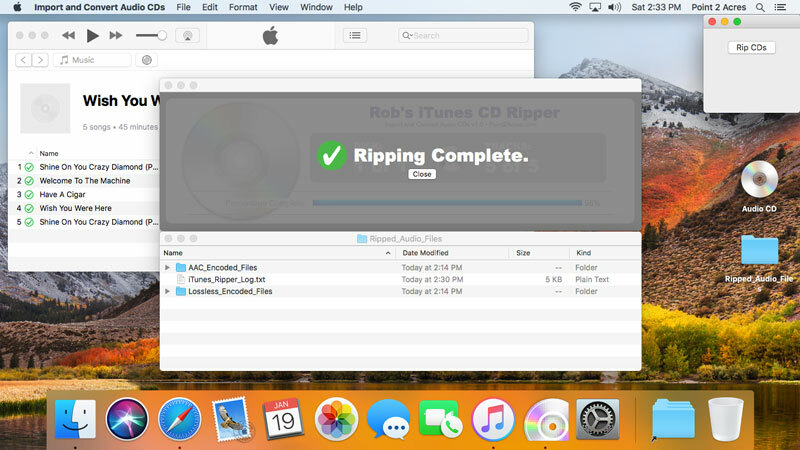 Rob’s CD Ripper for iTunes • Import and Convert Audio CDs is a Macintosh application for ripping tracks from audio CDs. You save time by ripping two audio formats at the same time, in sequence. Create lossless audio files for back-up and archiving as well as a second compressed format for playback on your audio devices and computers. 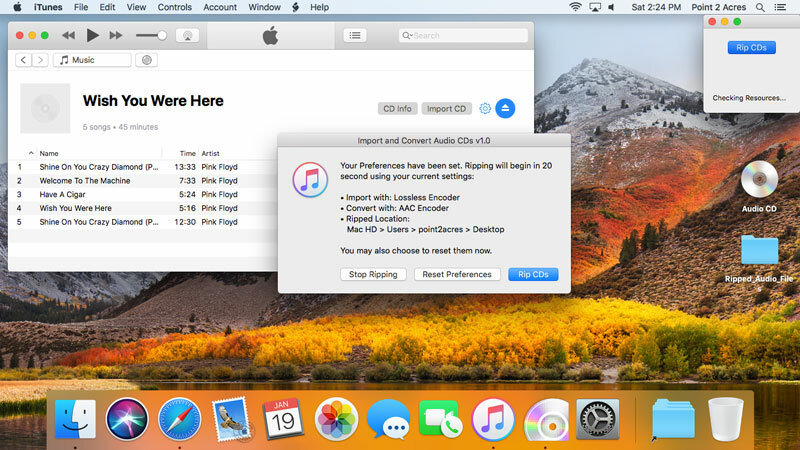 Save hours of your time when ripping your music collection. With our multiple drive support, you’ll save even more time by ripping multiple disk per session! 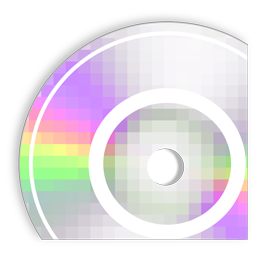 A Lossless back-up version is a safety net in the event that your original CD is damaged or lost. 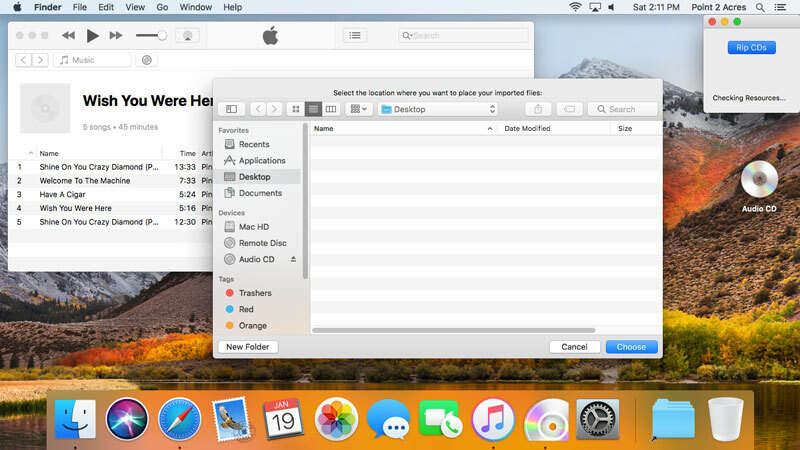 If that happens, you can burn a new disk with iTunes using the lossless back-up copies. You will then have a CD of the highest quality, matching the original CD. Time Saving – the secondary benefit is once music is on your computer in a lossless format, you can convert the files to other formats much faster than ripping them from the CD. You’ll also be assured that the converted copies are of the highness quality. A second, compressed, lower resolution format (i.e. 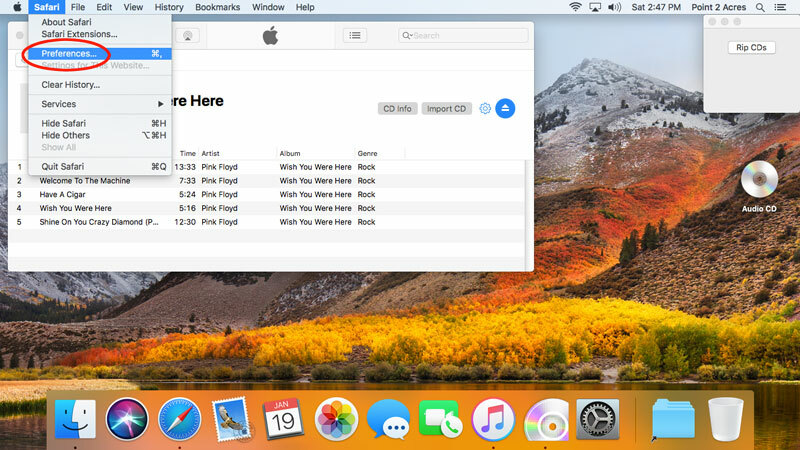 iTunes Plus) for everyday play back will allow you to store many more songs on your hard drive or audio device, while enjoying great quality. Lower bit-rate tracks will use less bandwidth while streaming to your Airport Express, Apple TV networks or other streaming devices such as Sonos sound systems. Automated ripping and converting tracks is less tedious and saves you time. 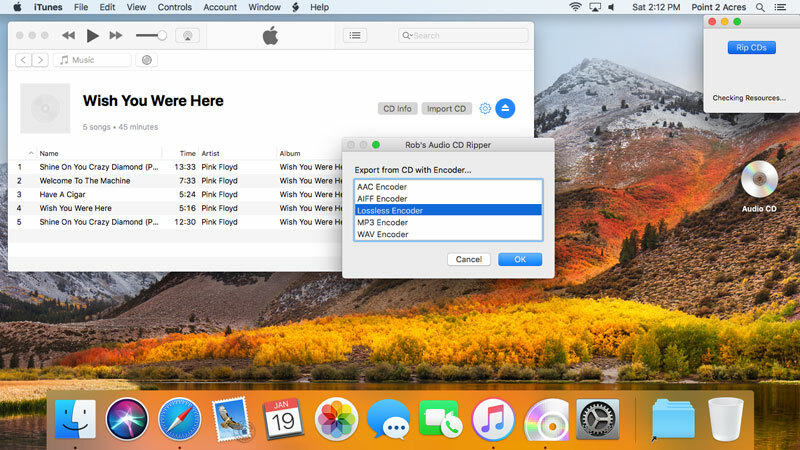 Multiple drive support – multiple drives will rip and convert your music collection in far less time. Fig. 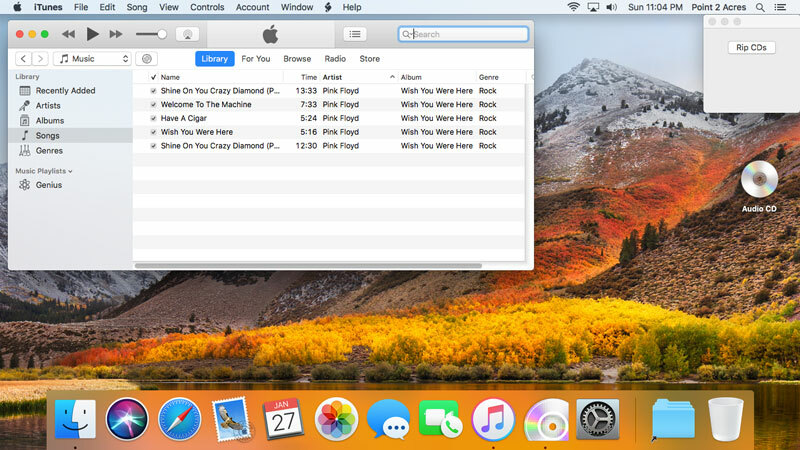 1: Rob’s CD Ripper for iTunes app shown open in the Finder. 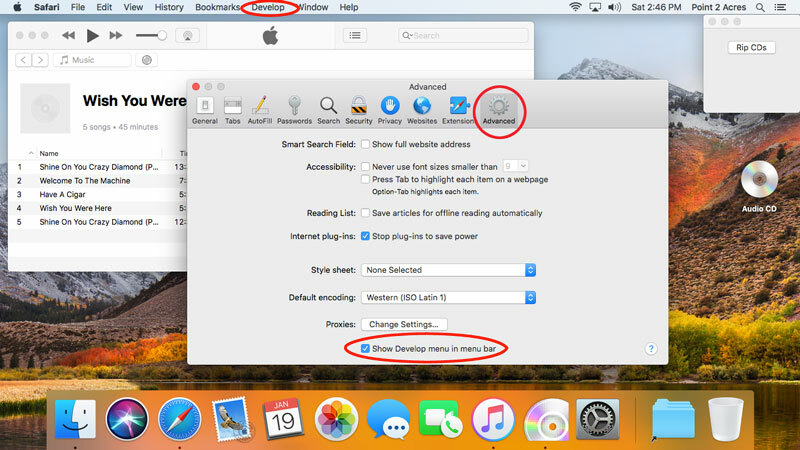 There are 3 settings that you need to check / set before running Rob’s CD Ripper for iTunes. These settings are shown below. NOTE: Helpful FREE Set-Up Scripts are included with the software disk image. Fig. 2a: Open Safari’s Preferences. After opening the preferences, click the Advanced tab, then click the Show Develop menu in menu bar. 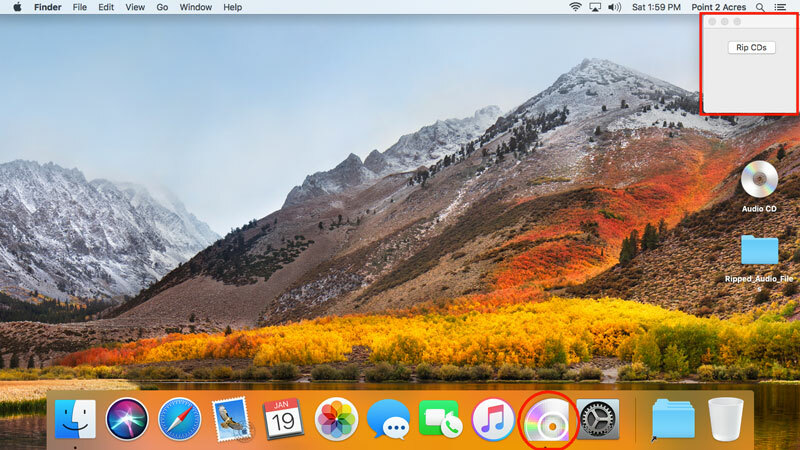 The Develope menu will then appear in Safari’s menu bar. Fig. 3b: Safari > Preferences > Security panel. Fig. 4b: A prompt prior to the authentication screen. On the 1st run, your ripping preferences will be set. Select the location where you wish to save your ripped files. Select the import format – choose from AAC, AIFF, Apple Lossless, MP3, or WAV. Select the export format – choose from AAC, AIFF, Apple Lossless, MP3, or WAV. Click “Rip CDs,” and you will be prompted to select a location to save the ripped audio files. We selected “Desktop,” but you may save the files wherever you like. Fig. 5a: Select a location to save the ripped files. Fig. 5b: Select an export format. Fig. 5c: Select a convert format. Fig. 6: Review your selections. If your selections are correct, click Rip CDs to begin. If you need to make changes, Reset Preferences. Fig. 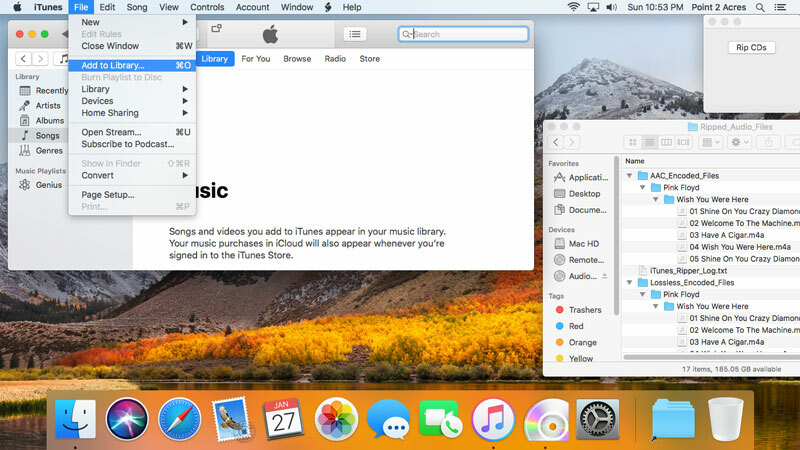 7: A Safari window opens and shows the disk and tracks to be ripped. If you have multiple CD drives, the progress window will indicate the number of disk. 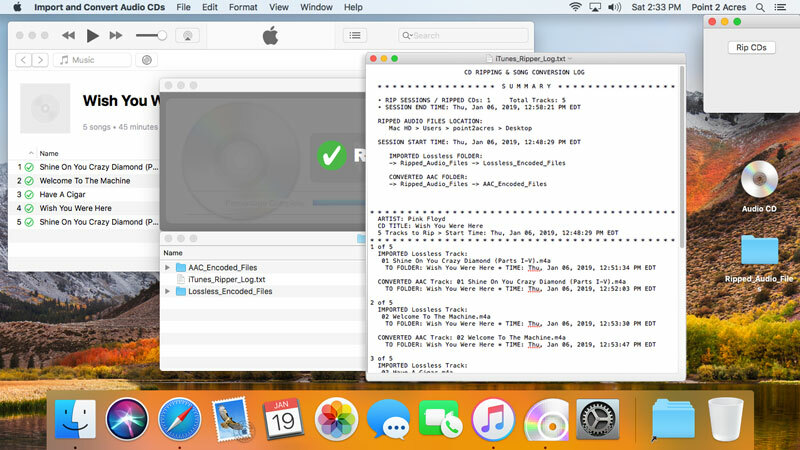 See our reference guid on how to hack your Mac to use Apple’s external Superdrive. Fig. 8: Ripping continues until all tracks are complete. Upon completion, the Ripped_Audio_Files folder is opened in the Finder. Fig. 9: A Ripping log lists the results. After ripping your tracks, the final step is to move your Lossless files to a external back-up hard drive. 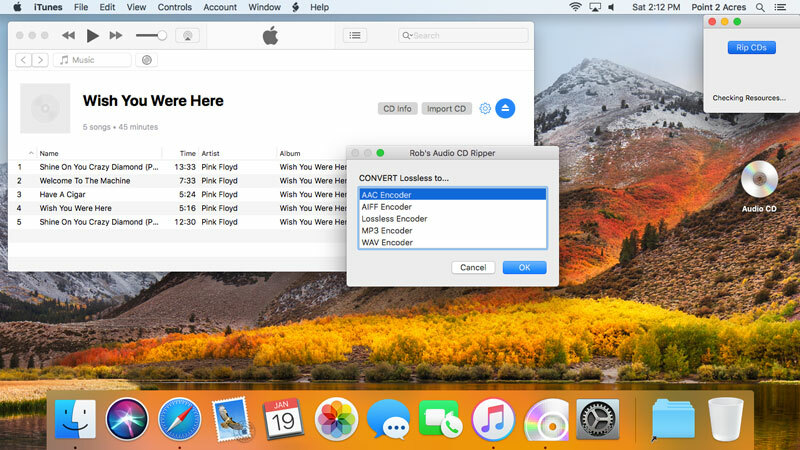 Your smaller size compressed files can be added to your iTunes library as shown below. Fig. 10: Select “Add to Library…“ from the File menu. Fig. 12: Your new music shows in the iTunes Music Library. Fig. 13: Without visual progress bar or counters. Fig. 14: Re-Opening the Application Window. 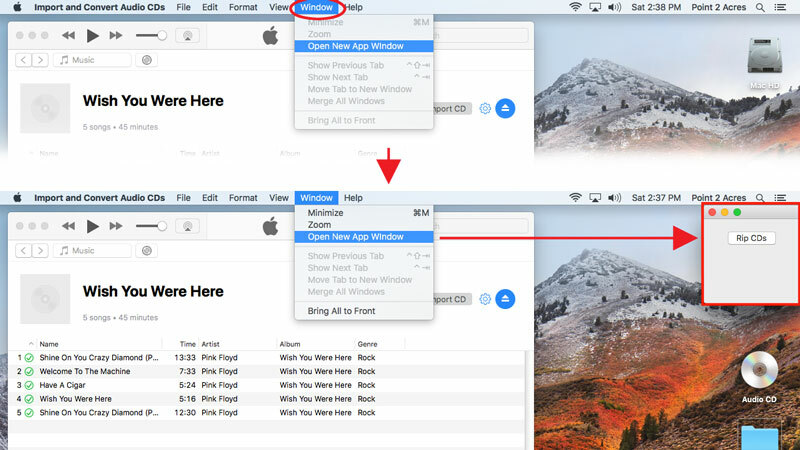 If you need help setting up or using Rob’s CD Ripper for iTunes, use the app’s Help Menu for helpful instructions. You may also contact us via our “Contact Us” web page. Fig. 15: The Help Menu. Fig. 10: Select “Add to Library…” from the File menu.